This week’s Baltimore Whitman Coin and Collectibles Expo is one of the last major shows of the year. The metals are leading the market and Baltimore is expected to be a continuation of the current buyer philosophy. Any coins close to bullion levels top buying lists including, silver dollars, silver bags, older gold coins as well as the modern minted coins, Silver and Gold Eagles, Platinum, along with a host of other items. For those in need of cash, most coin shops are purchasing lots of gold and silver scrap that gets recycled to the melting pot. Stack’s will host their 75th Anniversary Sale in conjunction with the Baltimore Convention. The highlight of this sale could well be the collection of W. L. Carson. There are over 600 lots with many fine proof sets beginning in the 1850’s. This sale should attract some very competitive bidding. Dealers are still in the market for better date and quality coins. Anything that may qualify for the + grade designation is an easy seller unless the owner wants too much of a premium on the current Market price. 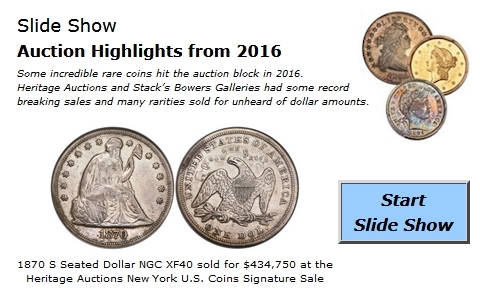 Buyers for better date Morgan Dollars are aggressive but not overly so. The majority of price changes in this week’s Modern Wholesale Market Dealer Price Guide appear in the bullion charts. However, there are still Registry set collectors who will pay very strong prices for top graded coins in all denominations. The Proof Gold Eagles with original government packaging are trading at $1,575 an ounce wholesale and the early $25 Mint State Gold Eagles remain very hot. Some of the Spouse $10 Gold coins in 2008 and 2009 show advances with demand far ahead of available supplies.